Israel is the birthplace of ‘storytelling’, it’s the place where The Story began; “In the beginning…” It is also the place where Eefje and Arnold met, during a trip of their History studies. Israel has since played an important role in their work. With the documentary ‘Bring Home The Jews’ they capture the madness of radical Christians. In Bring the Jews Home, we follow the Flemish Koen Carlier on his mission: to bring all the Jews in the world to Israel. Carlier believes that the Messiah – Jesus – will then return to earth, during this generation still. Tirelessly, in a Flemish easy-going fashion, but at the same time very persistently, he visits the smallest of villages in Ukraine searching for the ‘last’ Jews, to whom he repeats his message, family by family. Koen doesn’t work alone; he is an outpost of the Dutch organisation Christians for Israel that operates globally. From its head office in Nijkerk they encourage Jews to make ‘aliyah’, that is to move to Israel. Christians for Israel claims to have ‘brought home’ over 150.000 Jews in the last 20 years, not only from Ukraine, but also from India, Ethiopia and ultimately from New York and Amsterdam as well. Koen visiting a jewish family in Ukraine. 'Will you donate for one or two jews?’ was the headline of an interview in De Volkskrant. 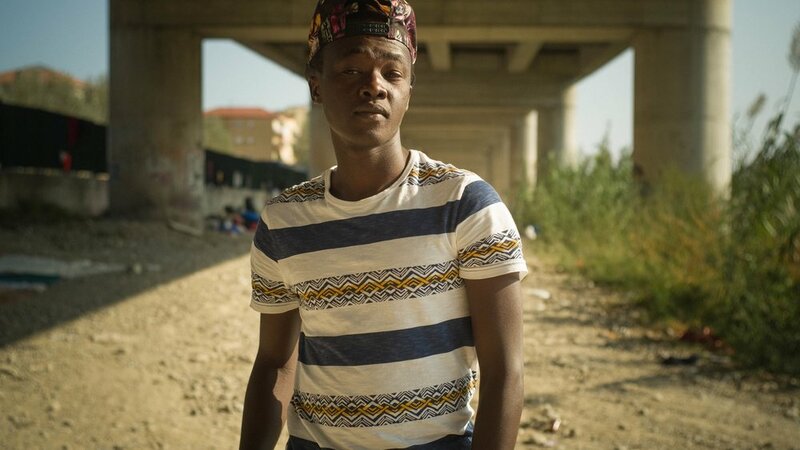 Filmmakers Eefje Blankevoort and Arnold van Bruggen got virtually unlimited access to the field work, conferences and staff meetings of Christians for Israel. From the inside, the film portrays the motives, the methods and the (unintentional) consequences of a radical organisation like Christians for Israel and its field worker Koen. In lyrical, cinematic storytelling the film shows their practical work, propped up by prophecies from the Bible. Bring the Jews Home is a documentary about dogmatic actions and the mundane, often far-reaching consequences of utopic missions. Bring the Jews Home was screened at various film festivals worldwide, amongst which Doc Leipzig and Hotdocs. ‘In the beginning’, that is how Noah in Daren Arenofsky’s movie of the same name starts his story about the origin of the world. What follows is an amazing montage which tells the biblical story Genesis using animations that visualise the theory of evolution. The scene seems to say: It's all in the eye of the beholder. It is an image that came back to Eefje and Arnold often while working on Bring The Jews Home. The protagonist Koen Carlier, is a sympathetic, energetic Fleming. Determined, he roams the Ukraine countryside looking for the last jews to ‘take home’ to the Promised Land. Eefje, Arnold and Koen got along very well, mostly share similar backgrounds, were raised in the same part of the world. And still they looked at this world completely different. 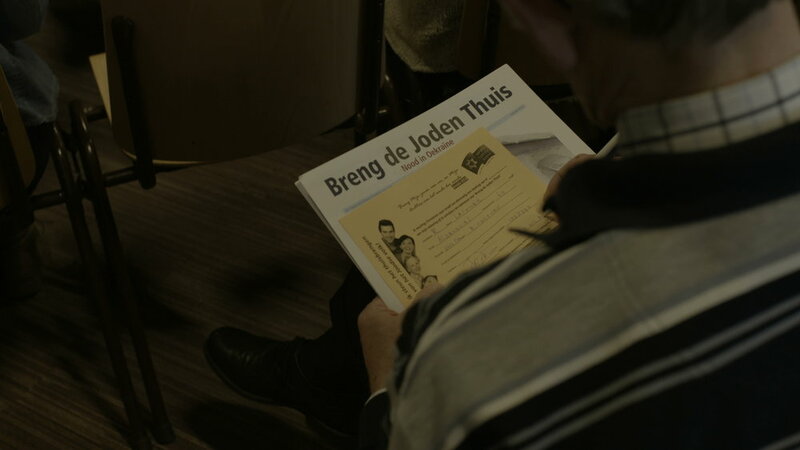 ‘Put the paper next to the bible or the bible next to the paper and you can see it happen’, Koen says in the film. ‘It’ that is the End of Days, that according to Koen is happening now. Koen and his allies see the prove for that in many signs. Not in the last place in the existence of the country Israel. The Mount of Olives, Nazareth and Bethlehem; in Israel the places described in the Old Testament are simply mentioned on traffic signs. That made Eefje and Arnold think about one of their favourite movies: Romeo & Julliet by Baz Luhrman, in which the director translated the old Shakespearian texts to contemporary Los Angeles. ‘In fair Verona’ (Italy) became ‘Verona Beach’. Inspired by Luhrmanns visual style, Eefje and Arnold translated the rock solid convictions of Koen literally to his day. Who starts looking at the world from his perspective, will see signs pointing towards the End of Time everywhere. Status: uitgezonden 29 maart 2016. Bring The Jews Home is a co-production with Witfilm and was supported by the Medoiafund and Fonds Pascal Decroos.